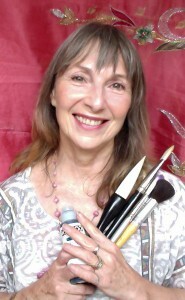 Following a 25 year corporate training career, I became a Psychic Artist and now lead and develop courses in extra-sensory awareness and esoteric communication. I believe everyone has natural abilities in these areas, but most people do not recognise them as such, and use different words to describe them. Much depends on our experiences from birth and the belief systems we have grown up with. I HAVE CLEAR and vivid memories of my early spiritual experiences. I could see ethereal energy, or “essence”, connecting everything in nature and was fascinated how its brightness intensified and fluctuated around living creatures and glowed softly around plants. I loved the beauty, purity and simplicity of nature – especially animals. I BELIEVE I inherited my father’s natural abilities as a clairvoyant medium. In 1964 our family moved to Singapore. There I had a number of encounters with earthbound spirits. Many had died during the Japanese occupation, and I involuntarily shared their emotional experiences. One night I saw an angel. It was a vision of brightest, softest light, and I felt comforted, peaceful and safe. But the intensity of my other encounters had been overwhelming. I asked my angel for it to stop and thereafter my peace was no longer invaded by troubled spirits. IN 1989 my sister Lucy and brother Michael both passed to Spirit. I visited spiritual mediums seeking a message from Lucy or Michael, but nothing came. However these experiences had installed in me the realisation that life was infinitely precious and this time around we get just the one chance. I started to study, pursuing all my interests, spending years learning, practising and mastering everything I found interesting and fulfilling – life coaching, NLP (Neuro Linguistic Programming), stress management, kinesiology and reiki. REIKI WAS A REVELATION. During my first atunement my third eye expanded. I saw Michael and Lucy in a beautiful garden with Buddha. He came into my body and looked out through my eyes. He showed me that they were happy and safe in Spirit but I was not yet ready to be reunited with them. I need to heal first of the grief and anger I had been carrying, and denying, for so many years. PART OF THE HEALING PROCESS was to join a development circle with some close friends from reiki. It was a joyful and enlightening period, during which I was taught by Spirit Guides to communicate with them via my love of art (full story). I was also reunited with my sister Lucy in the spirit world (full story). After 17 years I had given up all hope of this happening. It was such a powerful experience I can only describe it as “seeing the light”. Eventually I started painting for other people and found that the information passed to me clairvoyantly and via my pictures was relevant and meaningful for them. 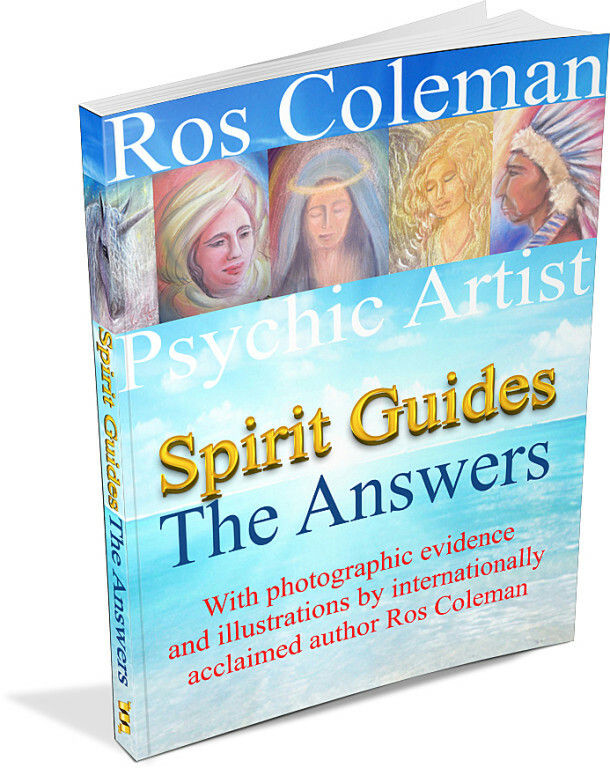 I became a full time professional psychic artist and toured Mind Body and Spirit Shows throughout the UK. 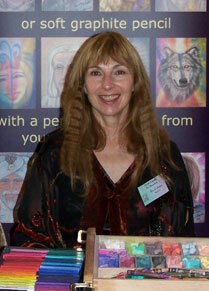 I painted spirit portraits and gave readings, talks and demonstrations and led workshops. I loved every second. It was a constant learning process. My spirit teachers challenged me and above all, I learned to trust them implicitly. NOW I TEACH others. “The Art of Creative Consciousness” is the result of those years of learning and experience. The process I employ to facilitate others’ awakening is the same that my own Spirit Guides used with me. Our classes and members group are filled with love, joy laughter. We have more than our share of fascinating experiences and coincidences. This work is my joy. When you join my list to receive news, spirit guide stories and courses updates.